Phantom Drive offers you an easy way to burn optical discs even in virtualized system environments. Simply install Phantom Drive in your Virtual PC or VMware virtual machine, and use all the capabilities of a physical recorder in your environment. 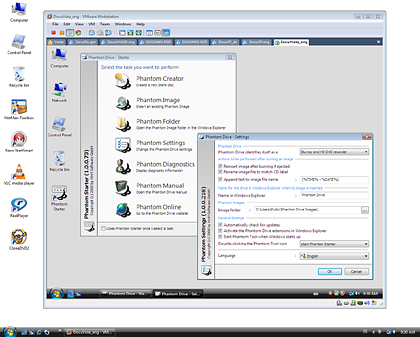 You can install Phantom Drive in your virtual environment just like any other software program. The virtual recorder then appears the same as a hardware drive.